I travel a great deal assisting my mom, Donna Eden with Eden Energy Medicine workshops around the world. I also teach EEM certified practitioners to become teachers of Energy Medicine. After a 25-year professional dance career I still teach an occasional Belly Dance workshop. And every year, my sister Titanya and I teach Belly Dance at OMEGA Institute in New York. 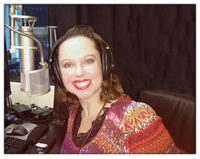 Hay House Radio with Heather Dane! 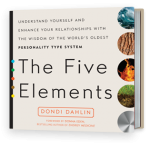 THE FIVE ELEMENTS is LAUNCHED!! !